This was posted on tanknet back in April, I can't believe I missed it. I'm pretty sure this constitutes a grave crime against AFV decency and good taste. And why the glossy green paint? BTR-60PB + M47M turret = "Aghareb" wheeled tank destroyer. It's at least something useful to do with any spare M47 turrets lying around. Definitely better than making them into pillboxes. In any case, I wonder how many complete M47s they have left operational? Probably not many, I'd imagine. Did the Iranians stumble across one of Ensign's or Walter's joke postings on WoT featuring models with swapped turrets? That 1976 Ford Pinto paint job is most excellent. Better than that Iranian "Stealth fighter"
Apparently the vehicle is named after Hasan Aghareb Parast, an Iranian Major General of Iran's 92nd Armored Division and was killed in the Iraq-Iran War. I wasn't aware of non-American vehicles being named after generals. I'm pretty sure it's not an M47 turret. I suspect they took the spare 90mm gun left over from their Sabalan upgrade program and put it in some sort of turret. All those welding seams and the weird design of the cupola make me think this is perhaps something the Iranians made themselves. The turret itself is, but I think they chopped the gun mount and gun off an M47 turret. It looks vaguely like one of the vehicles you'd get in a knock-off brand of green army men from a more down-in-the-heels discount store. Looks like a trash bin welded on the top of a grain silo. It looks like something out of Deus Ex. See, I was raised in the 1990s, so I have been programmed to see wheels and think 'futuristic'. If that thing were a plastic model, I'd tell them they held the spray paint can too close when they painted it. That's how you get those shiny spots. When I was a kid my friend and I would take all the model kits we didnt care about and rebuild them into all sorts of weird vehicles. Then, we would take them into the woods and blow them up with bottle rockets. It was good fun. This Iranian thing reminds of me of the crap we used to create, although we typically did a little better with the paint job. 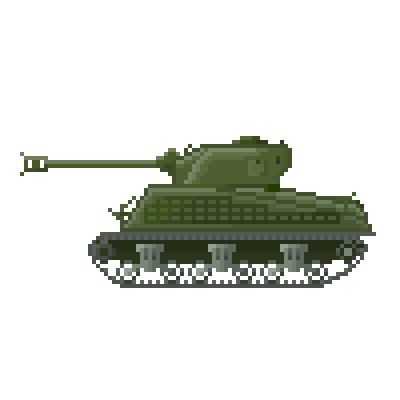 That definitely started out as the front of an M47 turret with the gun mount and mantlet. Looks like they gave it a smaller turret ring to fit it onto that abomination. I guess Iran doesn't have too many M36 Jacksons left at this point and tried creating their own version of the M36's turret. I don't think anything past the mantlet is M47. Not sure what that weird ridge is on the top of the turret is either? That oddity on the back of the turret really does look like a trash bin. Holy hell. That's a vehicle so ugly, not even a mother could love it. It's almost begging to be blown up. Sorta like Iran, in general. This thing makes me missing shooting things with artillery. I bet the guy in that cupola would shoot out like a roman candle. The M36 Jackson would like a word son! This reminds me, I wish I could find that picture I had of an Iranian M18 from back in the '50s. I'm fairly certain I saved it somewhere as I remember showing it to Colli on TS once, but I'll be damned if I can find it again. ISIS, how you get so many Toyota Hilux pickups? Toyota Hilux pickups, an overseas model similar to the Toyota Tacoma, and Toyota Land Cruisers have become fixtures in videos of the ISIS campaign in Iraq, Syria and Libya, with their truck beds loaded with heavy weapons and cabs jammed with terrorists. The Iraqi Ambassador to the United States, Lukman Faily, told ABC News that in addition to re-purposing older trucks, his government believes ISIS has acquired “hundreds” of “brand new” Toyotas in recent years. so we don't pollute the WoTism thread too much, I figured there are enough of us playing this to have a thread about it. Ok Tekky and Colli, teach us how to abuse the game. Al-Mukowama aka Hezbollah information thread: only arab (not really arab) army (not really an army) that knows how to fight. Well, looking at amount of info that i can get about Al-Mukowama, i decided to make a separate thread about them where we (or just me) will collect information about Al-Mukowama aka Hezbollah. Will try to update this thread as often as new information will be avaliable. First section will be about Hezbollah military wing/Al-Mukowama in general. Second - infantry. 3rd - armor, 4th - special services. Creating this thread now, will add major updates later (don't have much time now, Syrian thread needs updates). Hebollah is a Lebanon political party that represents southern Lebanon and shia communities interests and also is big part of social life in Lebanon (healthcare, construction, education, etc.). Current views on organisation are very different, but all they can be generally divided in 2 point of views - first is that organisation aim is the abolition of the confessional political system imposed by the colonialists, replacing it with an Islamic states modeled on Iranian example second is that organisation gone though serious re-view of it's place and ideaology and accepted Lebanon internal politics rules and now work to improve shia communities place in Lebanon society. After South Lebanon occupation in 1982, different existing groups of shias (including radicals), that were not connected to "Amal" party (only shia party at the time in Lebanon) started to form a "Hezbollah" in Bekaa valley. Unification of different groups was happening in the same time with increasing connection with Iran, that was looking at possibilities of "exporting" Islamic Revolution to other countries in the region. Bekaa was de-facto controlled by Syria, which had direct impact (although not critical) on creation of Hezbollah. Syria allowed a connection of Hezbollah and Iran IRSG personal, that started to train first groups of Islamic resistance. Syrian officials and Hezbollah contact were limited, main questions were paths of weapons and supplies to formed organisation to combat Israelis in Lebanon and security issues. Following the conclusion of the Taif Agreement and end of Lebanon civil war in 1990, Syria became a guarantor of stability in Lebanon and had serious influence on internal policy of neighbor. Hezbollah/Lebanon Resistance was allowed to have weapons and continue their actions against Israel. Syrian officials did not interfere with economic re-building plan, that was put in place by Lebanon gov. After Israelis left Southern Lebanon in 2000, the "Hezbollah-Syria-Iran" axis did not stopped to work, actually it continued to work pretty well. "Cedar Revolution" in 2005 and withdrawal of Syrian forces changed political landscape of Lebanon, opening new possibilites for Hezbollah - for the first time organisation competed for a place in the government. On March 8, 2005, after only a few weeks after the assassination of Rafiq Hariri (Prime Minister Rafik Hariri of Lebanon in 1992-1998 and of 2000-2004. He was killed in Beirut in a terrorist act of 14 February 2005), when anti-Syrian sentiment in Lebanon were at the highest point, the General secretary of "Hezbollah" Nasrallah spoke in support of Syria. "Hezbollah" was to counter the paradigm, formed in Lebanon about orientation to the West and Saudi Arabia, and offered it's own project, but it was feasible "only with the preservation of regional partners". Over course of 2000s "Hezbollah" was the main proponent of this vector of development. Support in Lebanon was achieved through large-scale social projects, including nondenominational, individual successes at the border with Israel and the active promotion of the Islamic Resistance. "Hezbollah" with optimism greeted the events of the "Arab spring" in countries most affected by it, as it served Hezbollah's regional interests. The criteria according to which party estimated the riots, were formulated by March 25, 2011 by Nasralla: firstly, it is the position of the former regime in relation to arab-Israel conflict; secondly, the desire and the ability to implement major reforms. Despite the uniqueness of the situation in each country, "Hezbollah" is regarded massive unrest in Tunisia, Egypt, Bahrain, Libya, as a struggle against tyranny. The party supported the efforts of the Bahraini Shiites, aimed at achieving equality in political life. The victory of the party "An-Nahda" in Tunisia, in terms of Hezbollah was an opportunity for Tunisia to find their own political identity and refuse Westernization. In the same way, Hezbollah welcomed the success of "Muslim Brotherhood" in Egypt, but later abandoned it because of the Syrian issue. With regard to the events in Libya, "Hezbollah" has supported the overthrow of Gaddafi, but condemned Western intervention. It is worth mentioning that "Hezbollah" has long accused Gaddafi in the disappearance and alleged murder in 1978 of Musa al-Sadr, an important figure of the "Shiite revival" in Lebanon. "Hezbollah" approach to the assessment of events in the neighboring Syrian is radically different from the one described above, but based on the same criteria. Syria - an essential element of the "resistance front" (al-Jabhat Mumanaa) Iran-Syria-"Hezbollah", despite the fact that on the Syrian-Israeli border for a long time remained calm. The armed fight against Israel until the complete liberation of Lebanese territory (including the Shebaa farms) and aid to the Palestinians in the struggle against the invaders were proclaimed as key objective of "Hezbollah". Therefore, anti-Israeli views are put at the center of patriotic party rhetoric. In this regard, "Hezbollah" is positioning itself not as a Shia party in the multi-confessional Lebanon, but as a nationwide movement. In fact, Hezbollah in Lebanon has formed a complete culture of resistance, supported by competent propaganda efforts: periodic celebrations in memory of the "fallen martyrs", publishing work, aimed at a better understanding of history, folk art contests, social program, etc. It resonates not only in the Shia community, but also attracts other communities of the country. The intervention in the armed conflict in Syria, on the one hand, distract "Hezbollah" from its main purpose - the protection of southern Lebanon, and the other side serves this purpose, as a possible regime change in Syria would weaken the party. Syria provides the main transit route for arms from Iran, "Hezbollah". However, this is not the main reason for the decision of "Hezbollah" to take part in the Syrian war. With the deepening of the conflict and the emergence of a growing number of foreign jihadists in Syria, it became apparent that the country was transformed into an arena for regional confrontation. Groups of Islamic radicals, and foregin-controlled FSA/"Moderate" opposition, have threatened the established order of things. Moreover, for "Hezbollah" is vital to prevent their penetration into Lebanese territory. Nasrallah, in one of his speeches, said: "Some insist that Lebanon's problem is that "Hezbollah" went to Syria. I would argue that the problem of Lebanon is that [we] were late. <...> If takfiri-terrorists prevail in Syria, we will all be destroyed". It should be emphasized that "Takfiri" that Nasrallah and other Hezbollah-connected medias mentions, wrongly interpreted by many observers and journalists as the Sunni Islamism. "Hezbollah" maintains relationships with a number of Sunni Islamist groups. Summarizing the Syrian radical groups by "takfiri" term (no "murtads", comrades! ), "Hezbollah" thus draws attention to the threat posed by these groups to religious minorities (including Shiites). Support for Syria by "Hezbollah" can not be considered only in the interfaith dimension. Mukowama actions and Hezbollah involvement in any way is not a support of the Alawite community, as many brain-dead journalists and sell-out medias tries to show it. The factor of the need to protect Shiite shrines are used to mobilize the Lebanese community (and by some degree Iraqi shias as well), but, in general the party avoids movement to inter-confessional conflict, especially in Lebanon. The main motive of "Hezbollah" is not religious, but political. It is vitally important priority remains the preservation of the "axis of resistance" and the current balance of forces in the region. Therefore, the party comes to the Syrian events otherwise than to the "Arab Spring" as a whole: not as a confrontation between the people and the yet another tyrant regime, but as the United States Israel and their allies attempts to change the regime in Syria. Following the logic of "Hezbollah", problems could be solved with the help of internal reforms Syria problem, while the intervention of Western countries, pressing their interests, must be prevented. In this context, "Hezbollah" has repeatedly stressed the readiness of Assad to reform and dialogue with the opposition. For a long period of "Hezbollah" refused to acknowledge their involvement in the conflict while expressing support for the Assad and Syrian government with words only (or nearly words only). priority is stability and security; call for the Syrian people to choose the path of dialogue, rather than confrontation with the government, and to allow him to carry out the necessary reforms; non-interference in the Lebanese internal affairs of Syria; denial of sanctions promoted by the West and imposed on Lebanon. Leaders of "Hezbollah" has repeatedly stressed their belief that the conflict will became long war, and hoped to avoid direct participation. INTERVENTION IN CONFLICT will be covered in 5th posts in this thread. There is no military unit in Hezbollah political party structure per say, the armed organisation that is usually refered as Hezbollah is a separate structure called Lebanese/Islamic Resistance or Al-Mouqowama/Al-Mukowama/Al-Muqawama, created because of southern Lebanon occupation by Israel. Al-Mukowama continue to grow and improve and currently it is one of most combat effective forces (relative to their size) in ME. Al-Mukowama is basically smaller and poorer version of IDF and In fact in 2000s most of Al-Mukowama equipment was Israeli-made. Recruitment is conscript-based, with big number of active reservists (periodically going to training facilities). Officers are usually somebody with plenty of combat experience, some of which gone trough training in Iran (including specialists like ATGM gunners and etc.). From 2006 Al-Muqawama was working on their Armor branch of forces, which they revealed several days ago. Resistance also have pretty seroius insititute of military advisors, number of which were working in Iraq with shia paramilitaries, were spotted multiple times in different parts of Syria and rumors say that they are involved in Yemen conflict, although i have no photo or video evidence to confirm such claims. Overall numbers are unknown, but counting reservists it may reach 40k. Primarly Al-Muqawama forces are light infantry, which is well equipped by ME arab countries standarts. Each member usually have 2 sets of equipment with wood/forest/green and desert camos (usually locally produced), protection (bodyarmor and helmets), ammocarriers (plenty of old Israel gear copies) and so on. Squads have internal organisation similar to army units - grenadiers/infantrymens/sharpshooter with DMR/MG gunner, medic and so on. Resistance also have dedicated AT units, reconnaissance, AA, artillery. As i already said - this is pocket version of actual army without Navy and air forces. Currently Al-Muqawama have bases not only in Lebanon, but in Syria as well (Qusayr/Al-Quseir for example). The simple question why inside of one country effectively 2 armies are allowed to exist can be answered in this 2 ways - Lebanon is not 1 country, it is more of a collection of communities that share borders, so it can have more than 1 armed groups that exist officially (How about Lebanese communists armed wing? Yes, they do exist)... or those 2 armies are doing what other army can't and second answer is something that i feel is closer to reality. Because of sophisticated interal policy of Lebanon state, LAF to start to act needs approval from several interested groups (which plenty of times have conficting views), which lead to LAF being slow to respond or even incapable to do something that situation may require. And this is where Resistance comes into play - it can be used to do the job that official army should have been doing, but can't because it may start serious tensions in Lebanon. Primary example - Syria, through Syria-Lebanon border plenty of terrorists groups are trying to get into country and LAF is doing almost nothing to prevent it, which led to Al-Muqawama cleaning border and fight in areas in Syria, close to Lebanon (Arsal, Beeka, 1st and 2nd Qalamoun, battle for Zabadani being best examples). It appears that Lebanon intelligence service - the G2 - is closelly connected to Al-Muqowama. Abbas Ibragim, the head of G2, was once reported by Al-Manar as coordinator of Army and Al-Muqowama actions in recent years. On 12 December of 2015 his nephew (Mohammed Hussein Ibrahim) was KIA in Syria in SW part of Aleppo province, which also shows some connections between him and Al-Mukowama. Another interesting example of possible connection between LAF and Resistance is Saudi Arabia canceling military aid for LAF about a year ago, which Saudi officials explained as punishment of LAF for support of Al-Mukowama. Lebanese President Michel Aoun with Hezbollah MP Mohammad Raad surrounded by Al-Muqowama fighters at a Hezbollah site in South Lebanon. As i already noted, some Resistance personal gone trough training in Iran, for example - several Kornet ATGM teams before 2006 Lebanon war. It appears that in recent years Resistance advisors work with some of shia units that also have Iranian support, primarly in Iraq. There is not much information on this, but small pieces are getting to public. There was an event several years back when Iranian general was KIA during Israely strikes on Al-Mukowama base at Lebanon-Israel border. 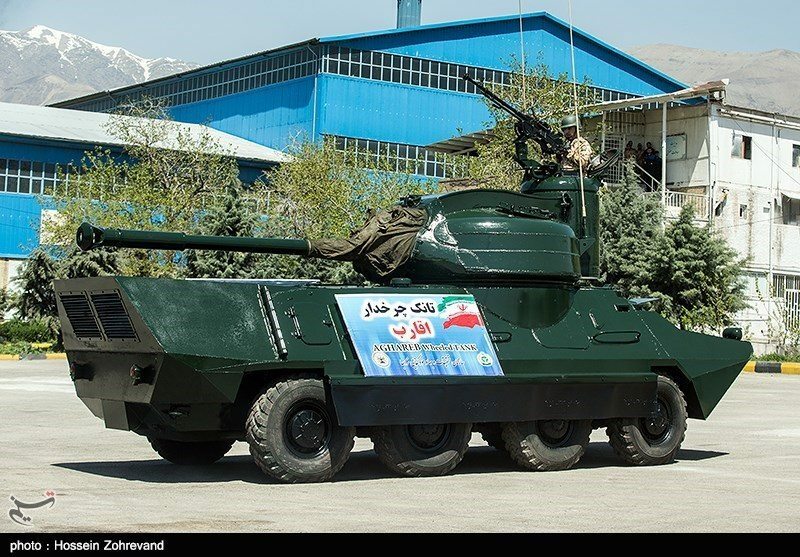 Another point - recently shown Al-Muqawama AT teams vehicles are armed with double Kornet launchers, which were spotted in Iran, AFAIK. Most blatant example of Iran-Hezbollah connections is this recently appeared photo of now dead Al-Muqawama officer Syed Aqeel Fahas with IRGC General Qasem Soleimani. Has finally have a bit long TV report,and what is this? "NO,T-72I4! It's him! He is Back!"